There’s been a long-standing vision to use technology in a way that doesn’t fossilise the old paper-based way of running the public sector — but which enables services to be redesigned and improved. Part of this vision has seen a move over the last few decades towards common services that remove duplication and enable the delivery of services designed around the citizen (rather than the owning department or agency). The Parliamentary Office of Science and Technology (POST) back in 1998 provides the first recorded effort I’ve come across that considers the impact of technology on government and all of its services in a more holistic way. 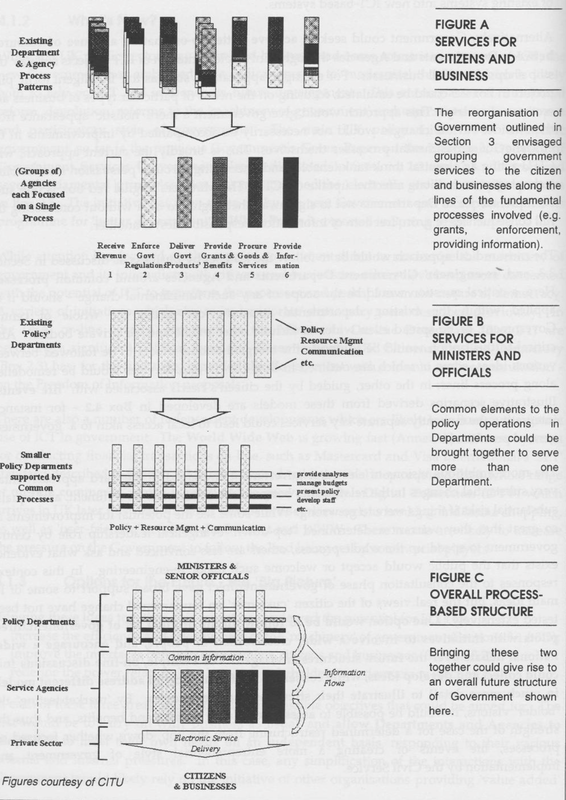 Their report on “electronic government” included the following schematic as part of a discussion about common processes across government and the need to avoid merely using technology to serve up online versions of paper forms. The UK government’s architectural approach to development of these more joined-up services was set out in the 1999 “Portal Feasibility Study”, prepared for the Central IT Unit (CITU) in the Cabinet Office. It proposed the three-tier architecture shown below. 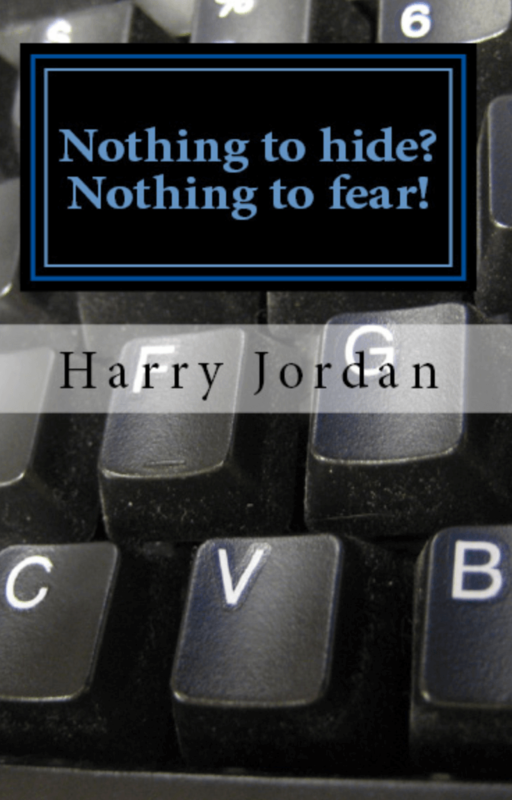 Confidentiality was to be assured through the use of encryption between the desktop and the Web server, specifically SSL or HTTP/S. Public Key Infrastructure (PKI) would be used in the middle tier, with a firewall deployed to limit network access between the front and middle tiers. Messaging between the middle and back tiers would use structured messages digitally signed by the Web site to: protect the integrity of the information, authenticate the source and prevent repudiation. The internal government networks (the Government Secure Intranet, GSI, and xGSI) would be used to secure the physical transmissions within government’s own estates. The approach — building out a single online web presence for the whole of government — outlined in the “Portal Feasibility Study” was later to be iterated through a series of implementations. The initial site was “UKonline”, replacing the early portal efforts of the Government Information Service (GIS) at open.gov.uk first established in 1994. This appeared as a soft launch, beta site in November 2000, providing time to gather feedback and enable refinement and improvements prior to its formal launch in February 2001. It was redesigned, rebranded and relaunched on 1st March 2004 as Directgov. The current GOV.UK first appeared in May 2011 and went officially into full service in October 2012. However, my focus in this brief blog is not the front-end website but a range of other, associated platform components, such as those developed to secure the processing of transactions and to enable the reliable identification, verification and authorisation of citizens, businesses and intermediaries. 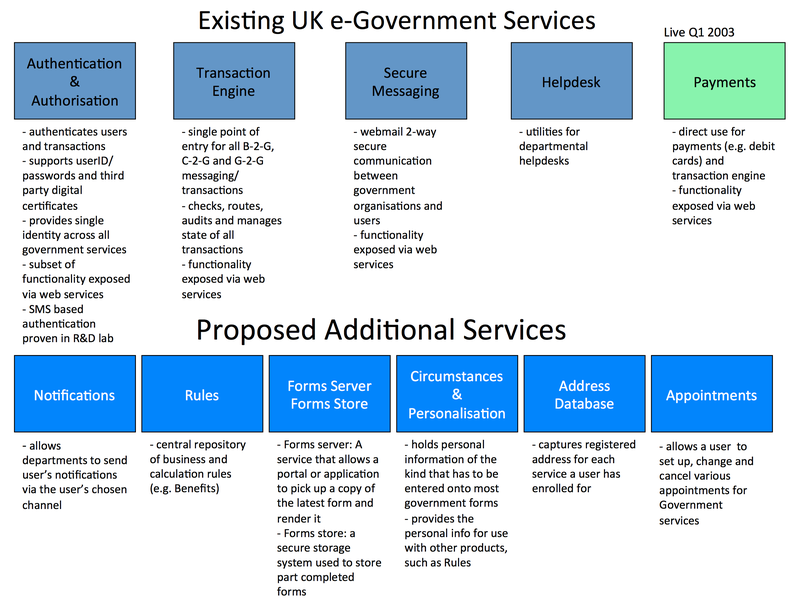 From late 2000 onwards, the UK government built out a series of web-service / SOA-based components. 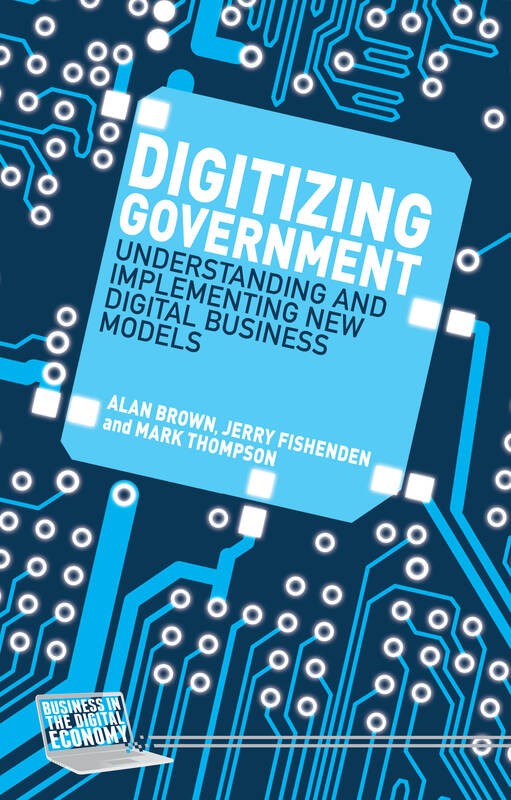 There was a clear business case for taking this “whole of government” approach: it was already evident that without some degree of common services, each part of the public sector would proceed with its own local initiatives — from websites to identity systems to payments systems and so on. The same needs would be met time and again in multiple places, resulting in pointlessly duplicated expenditure, processes and systems. 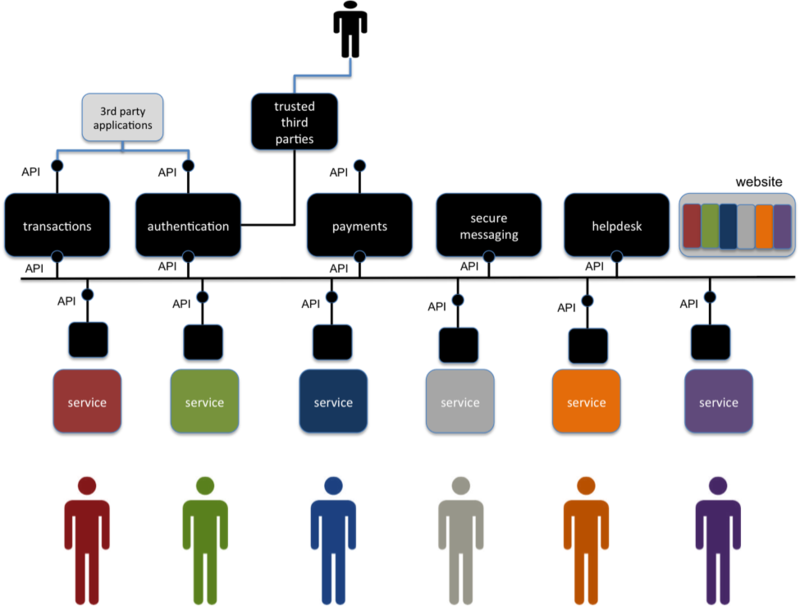 This would not only be expensive, and duplicate common infrastructure in multiple places across the sector, but also produce a poor user experience: government services would be scattered across a technological landscape that replicated the physical world of multiple overlapping providers. Leaving everyone to do their own thing would effectively fossilise existing, paper-based services in the online world rather than taking the opportunity to improve and streamline them. These API-based components are illustrated at a high level below. The schematic below shows the relationship between these initial component services and also illustrates how the provision of common platform components avoids duplication of the same needs across multiple government services. It came about, in part, because each department was developing its own local solutions to its online service needs, with a resulting duplication of expenditure and fragmentation of services from a user perspective. Moving to a strategic, platform-based approach for common services made sense from an economic, architectural and user experience perspective. Following on from the successful release and implementation of the initial cross-government components, in 2003 a further set of services were considered. Some initial work was done to prototype various of these additional platforms, but internal issues relating to funding and agreement between the multiple stakeholders involved became increasingly problematic. The recurrent issue of how much government should itself try to build in-house and what it should consume or purchase from others was also as much a debating point then as it is now. 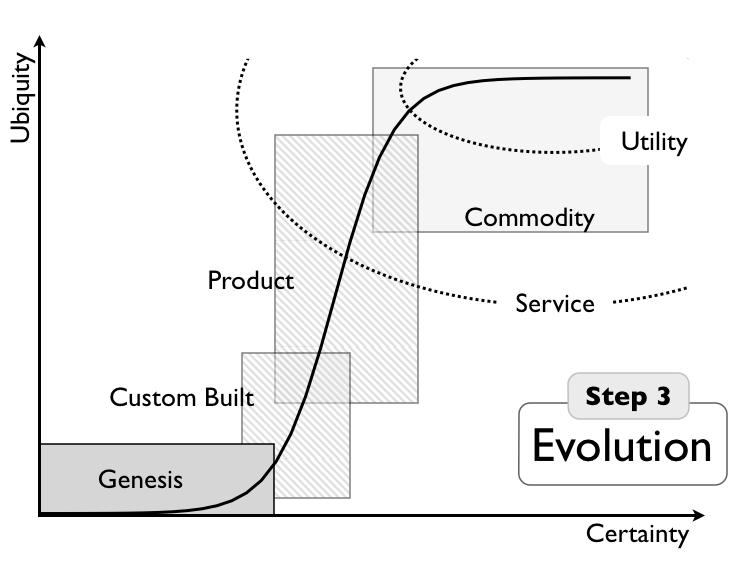 Hopefully this time around the debate about continuing to develop the vision of government at the technical platform level will be informed by the use of techniques such as Wardley mapping, which can help identify when and where in their evolution the various needs are and therefore how they might best be sourced (from bespoke build to rental). In 2010, “Better for Less”, which set out many of the ideas implemented in government during the 2010-2015 period, emphasised the value of the component-based approach. 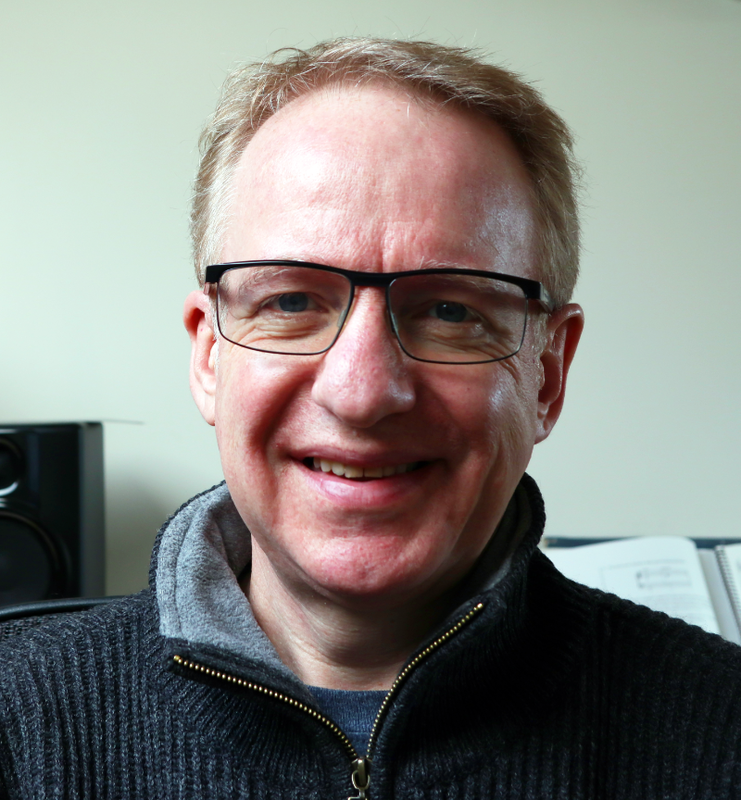 Another announcement about this commitment was made in September 2014 by Sir Jeremy Heywood, Cabinet Secretary and Head of the Civil Service, in a blog entitled “More than just websites“. It seems clear that the continuing move towards a platform-based model is now generally accepted not only at the engineering level but, as importantly, at the business and services level too. I originally planned to include the following more technical detail in the body of my blog. However, it’s a bit distracting for those only interested in the history of efforts to realise the higher level principles and benefits of developing a platform based model. But for those who want to look under the bonnet in a bit more technical detail, here it is … It aims to provide insight into two earlier components developed from late 2000 onwards — the Transaction Engine, and Registration and Enrolment. The Transaction Engine (TxE) was developed to provide a transaction handling and routing service. It supports the exchange of data (usually in the form of documents and business forms) between government organisations and external organisations, intermediaries and citizens, as well as between government organisations. It’s able to manage state between both single point to single point, as well as to orchestrate more complex interactions involving multiple parties where state needs to be understood and managed (e.g. an incoming piece of data may successfully update 3 of 4 departmental systems, but not the remaining one: clear state-management rules can be applied in such circumstances, ranging from rolling back all of the updates through to providing response information that indicates which systems have been updated and which have not and leaving the client side to decide how to progress the interaction). Although the original TxE was based on proprietary technology, the protocols developed and used were vendor neutral, open standards-based rather than utilising Microsoft’s BizTalk Framework. 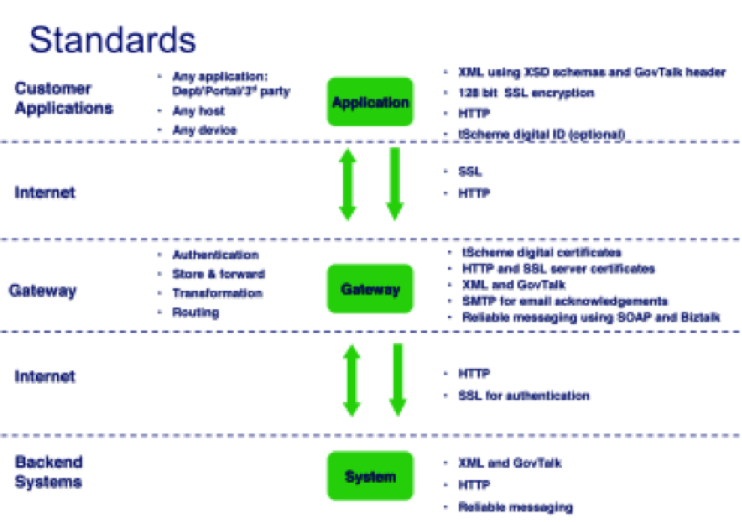 The development of these platform components were managed within the context of the broader e-Government Interoperability Framework (e-GIF) and its associated GovTalk initiative to use open interoperability standards (which drew primarly upon the IETF, W3C and WS-I interoperability standards). XML was used as the standard data format for all messages into and through the TxE. The specific standards utilised were defined by the former GovTalk initiative. This is now defunct, with the UK Government’s Open Standards Board taking renewed and reinvigorated ownership of the open standards to be used in government for software interoperability, data and document formats. 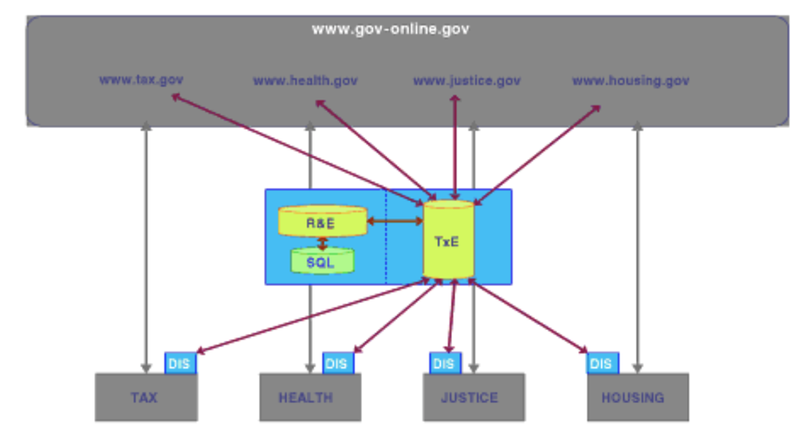 Interoperability between the TxE and existing departments is accomplished through what became known as the “Departmental Interface Server” (DIS). DIS provides SOAP reliable two-way communication between the connecting organisation and the TxE. It combines compliance with TxE’s open standards (XML, HTTP and SOAP) together with reliable once-only delivery and separation of the integration requirements of the systems within the connecting organisations. Some departments and other organisations deployed DIS services developed by third parties rather than using the Microsoft Biztalk-based offering: SoftwareAG for example supplied HMRC and others, demonstrating the practical benefits of open standards in maintaining an open market rather than restricting it to a single supplier. 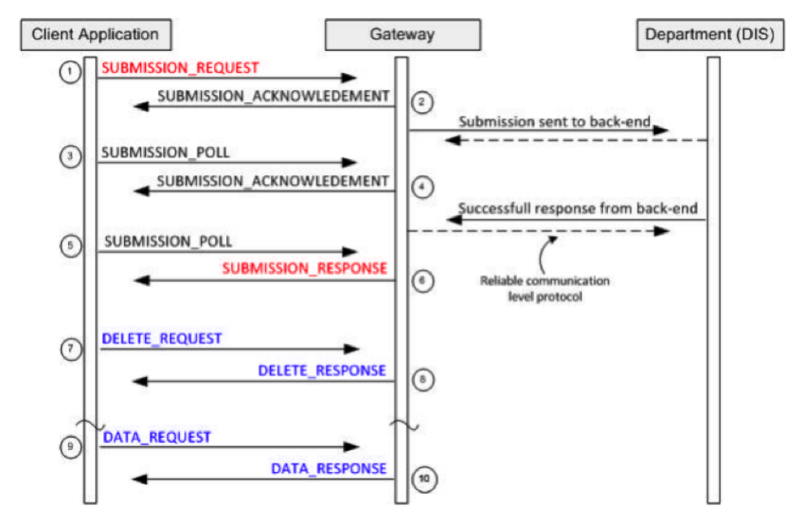 DIS uses the GovTalk Message Envelope in conjunction with the Document Submission Protocol (DSP) from 2008. The DSP routes business transactions (e.g. Self Assessment tax forms) submitted from either a Department Portal (e.g. the HMRC Online service Web site) or directly from an ISV application (which could be hosted on a website, server-based, PC-based, smartphone-based etc. ), through the TxE, to the appropriate Department (back-end) system and retrieves the corresponding response. The TxE acts as a “hub” to numerous “spokes”, which can be websites or dedicated DIS endpoints that provide onward integration and interoperability into departmental local systems. DSP uses the GovTalk Message Envelope to encapsulate business transaction documents. GovTalk documents are XML formatted and use the UTF-8 encoding standard. Messages are transported using the Hypertext Transport Protocol (HTTP). Portals, ISV applications and Departments (using DIS) must be capable of generating HTTP 1.1 POST requests and receiving and interpreting HTTP 1.1 response messages. 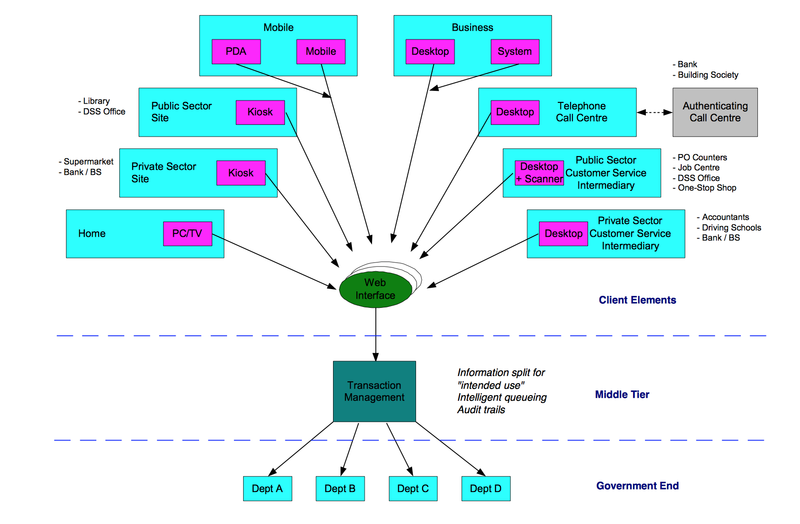 The transaction architecture is componentised, with applications and portals separated from the systems with which they interact. So, for example, HMRC’s portal does not talk directly with its backend, but via the DSP and GovTalk Message Envelope, routed and authenticated via the TxE. Connections with the TxE are made either over the internet or via government networks (formerly the GSI, now the PSN). The typical sequence followed when a client application submits a document to a target spoke (i.e. a Department service) is shown below (assumes no errors). 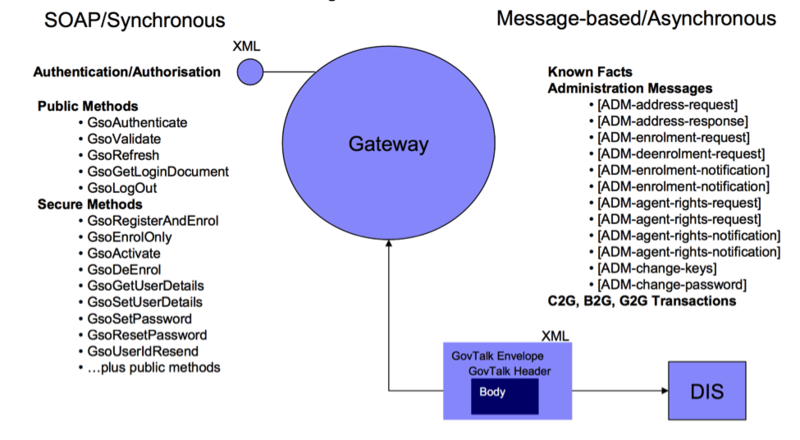 The protocol makes extensive use of the envelope portion of the GovTalk schema, requiring XML documents submitted to TxE to include a Qualifier element immediately after the Class element. Together these two elements denote the message type. The registration and enrolment (R&E) service was launched in January 2001. The initial authentication and authorisation component supported two credential types, UserID/Password combinations and digital certificates. 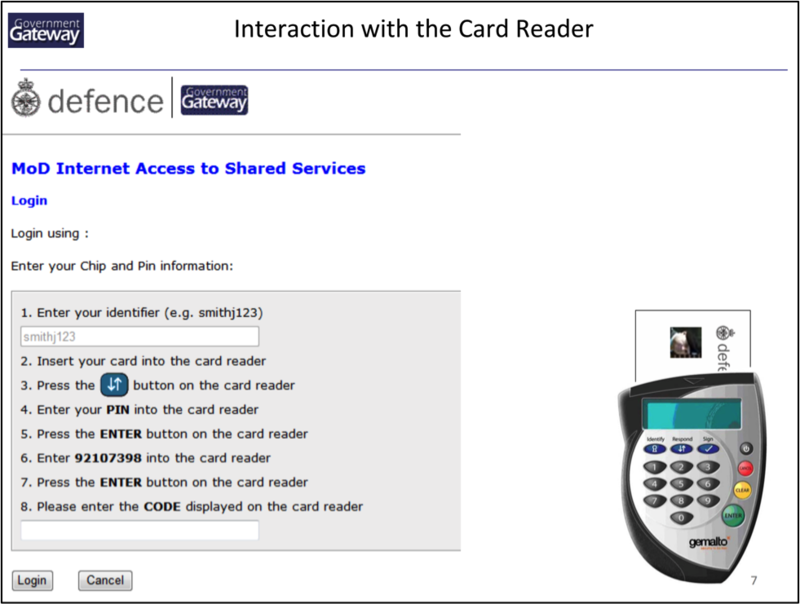 The service continued to be enhanced after launch and later expanded to include WS-Security tokens (offering the potential for other trusted issuers to federate their tokens) and the use of EMV Chip and PIN card (from around 2008, offering the potential for users to authenticate using a third party card, such as one issued by their bank). Citizens, businesses and intermediaries were therefore able to have single sign-on facilities across all government services — national, regional and local — although the option also existed (should a citizen wish) to utilise a separate method of authentication to each separate government service. This was to enable citizens to maintain the segmentation of their identities across government should they desire to do so. Part of the problem tackled by this common service is the need to associate an online identity and its associated credential with the different identifiers by which that same user is known within different parts of government. 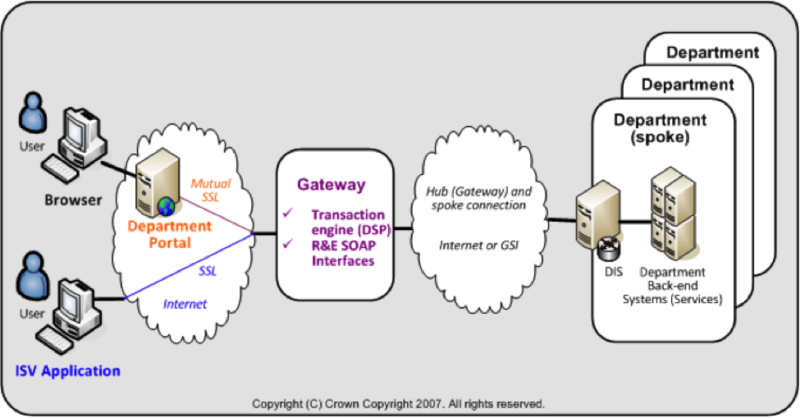 A Simple Object Access Protocol (SOAP) interface is required for websites and applications to interact programmatically with the R&E API-based service. The parameters included in SOAP messages are required to be well formed XML documents conforming to the XML Schema (XSD) defined by the UK government. This enables maximum re-use across SOAP APIs and for both parties to correctly and consistently validate XML documents.